Myanmar stamps information, philatelic research and post office reports. 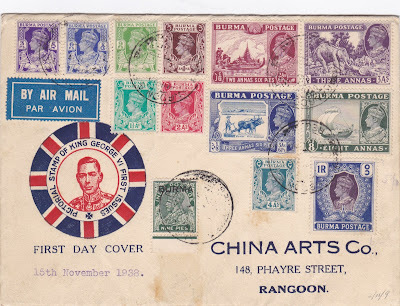 The cover illustrated below is the 1938 First Day Cover prepared by China Arts Co., cancelled Rangoon G.P.O REG, and Rangoon registration label affixed at the back. Registration Receipt is attached at the back of the cover. The cover is backstamped Registration Rangoon DELY mark 15 Nov 38. 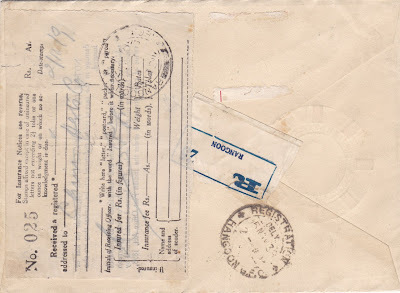 It is the philatelic cover with excess postage. onwards. The Rangoon address was noted as different. 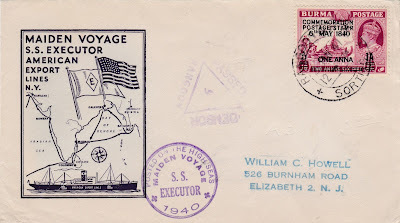 The Maiden Voyage Covers were posted on High Seas, on the Maiden Voyage (first journey) of S.S. 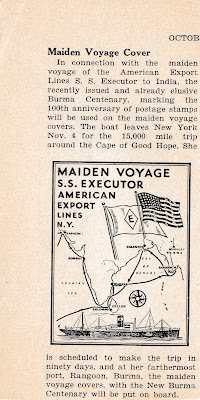 EXECUTOR of Ameri-can Export Lines. 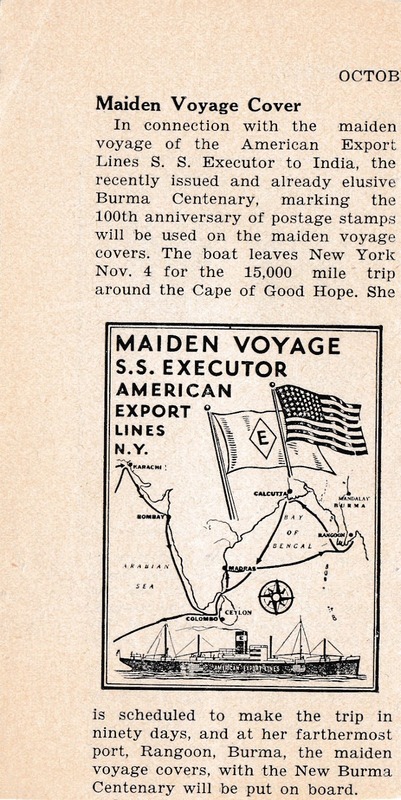 The boat leaves New York 4 Nov to her farthermost port, Rangoon, Burma. In Rangoon, the Maiden Voyage covers was affixed with Burma Centenary stamps and cancelled. The fourth stamp of the festivals series is for the month of Tagu and it was issued on 5 Apr. It is the 1st Waxing of Tagu. 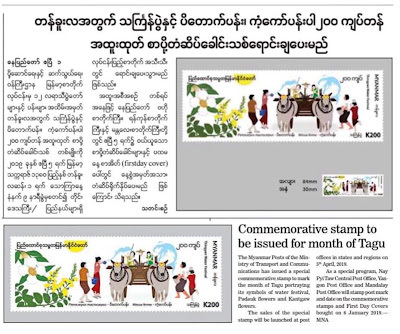 The stamp for the month of Tagu featured its seasonal flowers Padauk [Pterocarpus macrocarpus] and Gant Gaw [Mesua ferrea] and water festival. Burmese New Year festival, known as Thingyan, is held in the month of Tagu (April). It celebrates over a period of four to five days. People splashes water at one another during the celebration and it means washing away one’s sins of the previous year. Grab your copies at my eBay store. 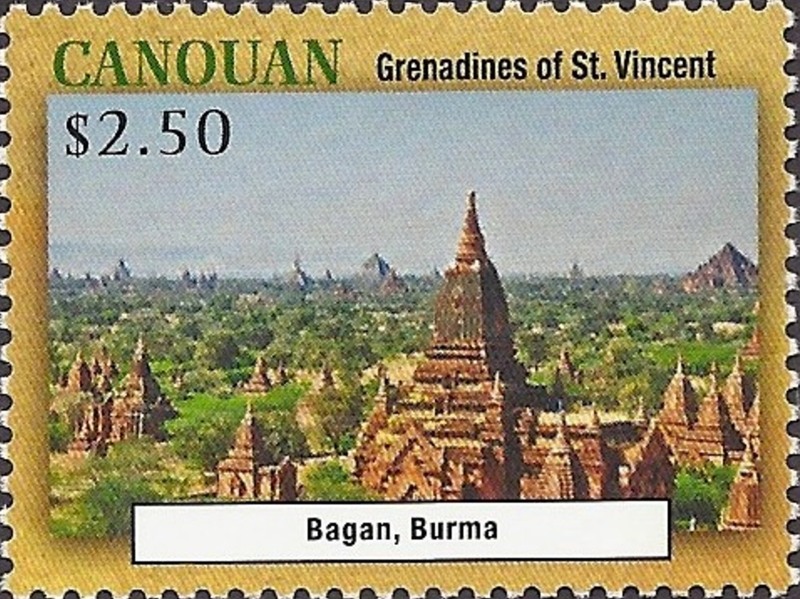 I recently found out that Canouan issued one stamp with Bagan scenary in 2013. 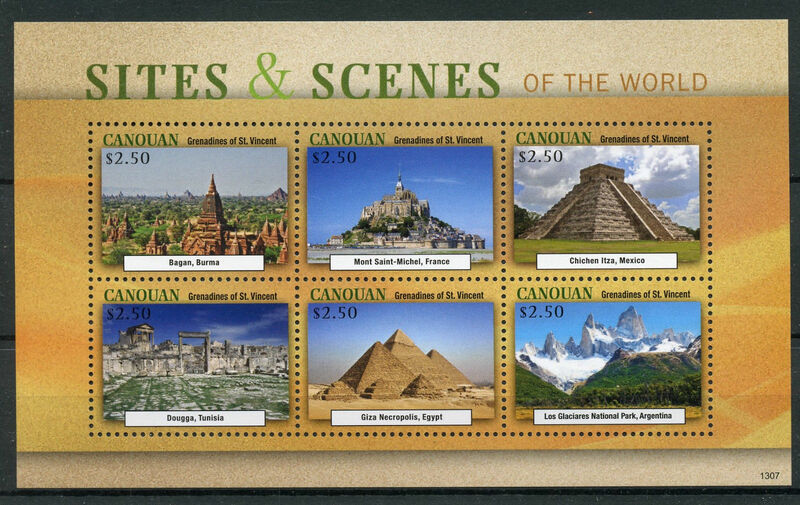 It was issued as the souvenir sheet of 6 stamps featuring sites and scences of the world. Canouan is a small island in the Caribbean archipelago nation of St. Vincent and the Grenadines. 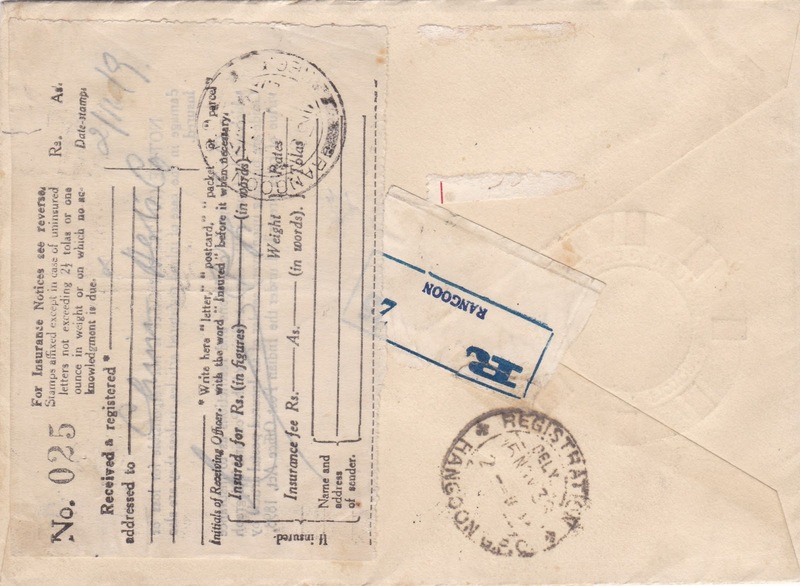 The issue date is 7 July 2013 and the perforation is at 20. 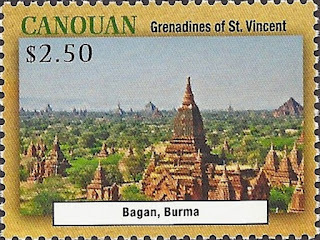 It will be added to the list of Bagan stamp described at this post. 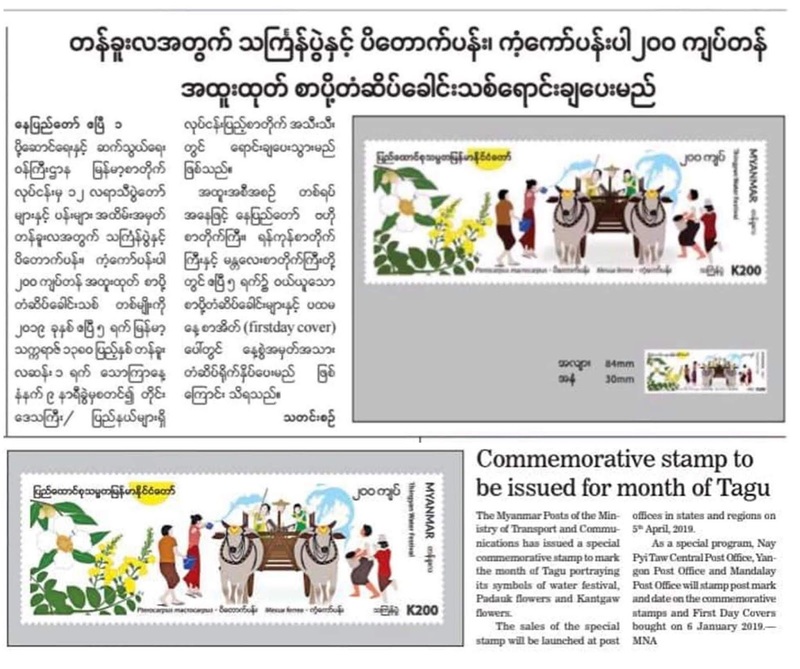 The third stamp of the festivals series is for the month of Tabaung and it was issued on 6 Mar. It is the 1st Waxing of Tabaung, first day of the month of Tobodwe. 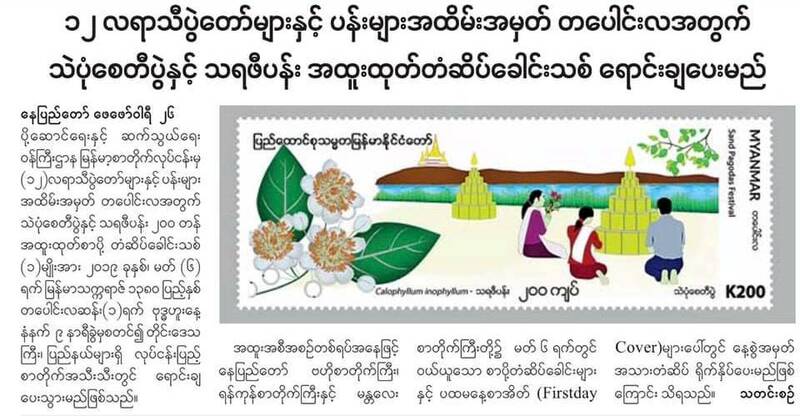 The stamp for the month of Tabaung featured its seasonal flower Tharaphi [Calophyllum amoenum] and sand pagodas (stupa) festival. Sand stupa festival is held in Tabaung (March) which is the last month on traditional Burmese calendar. Sand stupas are built by piling up the clean and white sand, shaped using bamboo frames, decorated with umbrella crown and paper banners to be look like with an actual stupa. 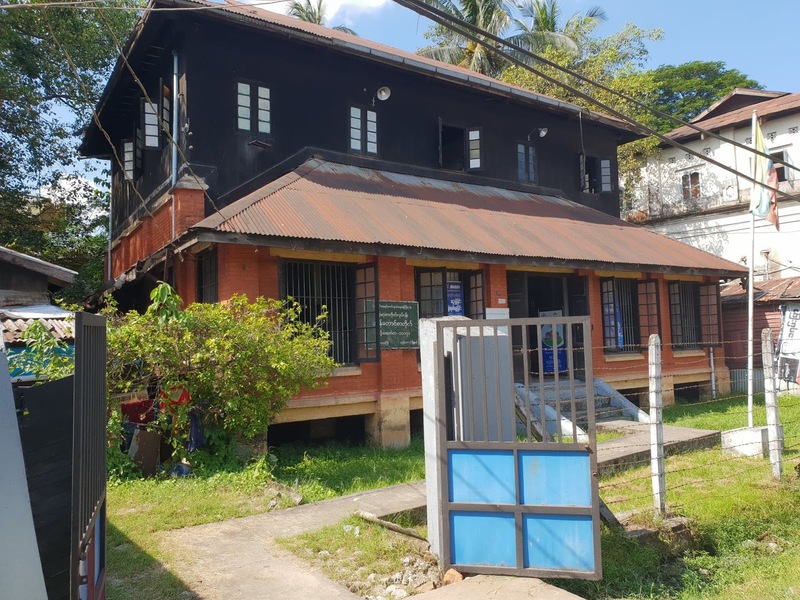 Pazundaung PO is located at No 133, Upper Pazundaung Road, Pazundaung township. It is grade 3 post office and its postal code is 11171. Please click the link for the location on the map. 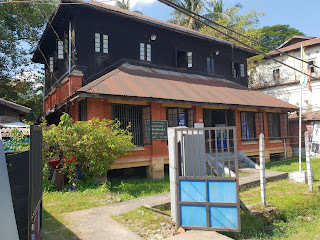 Some landmarks near to this post office are Pazundaung train station and Chantha plaza. I managed to get the new set of postmarks which were introduced in Oct 2018. The second stamp of the festivals series is for the month of Tabodwe and it was issued on 5 Feb. It is the 1st Waxing of Tabodwe, first day of the month of Tobodwe. 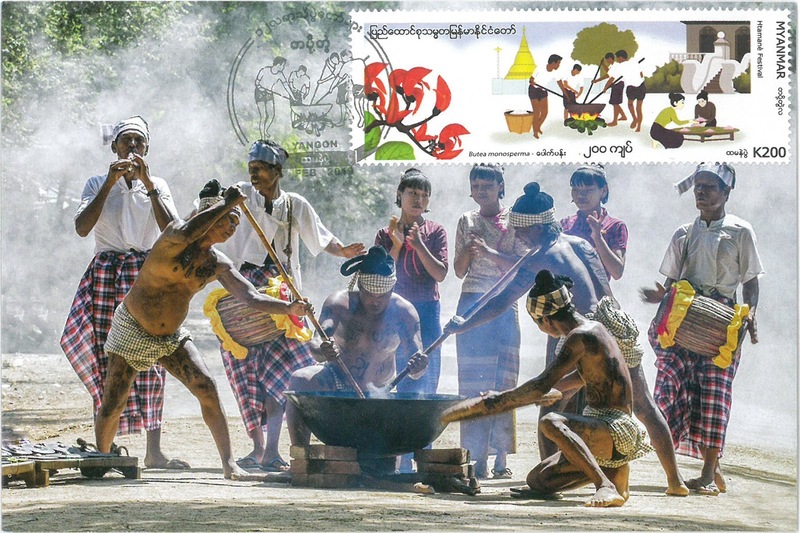 The stamp for the month of Tabodwe featured its seasonal flower Pauk Pan [Butea monosperma] and htamane making festival. Htamane making festival is held in Tobodwe (Jan-Feb). Htamane is a seasonal festive delicacy of Myanmar which is a glutinous rice-based snack mixed with toasted sesame seeds, peanut, fried ginger, fried coconut shavings and ground nut oil. Htamane making competitions are also held around the country. 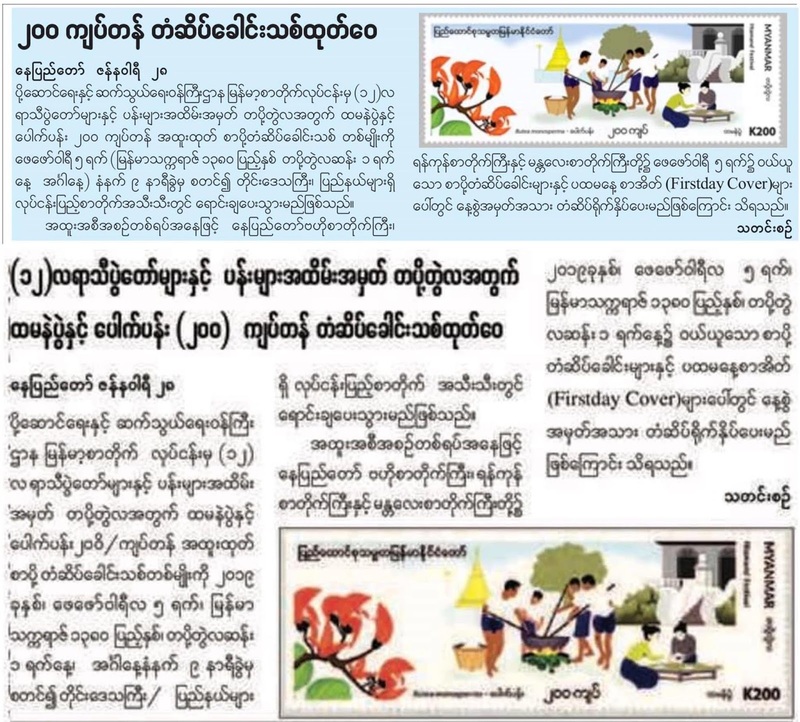 Ko Toe Philately has published the android app on "Myanmar Philately". 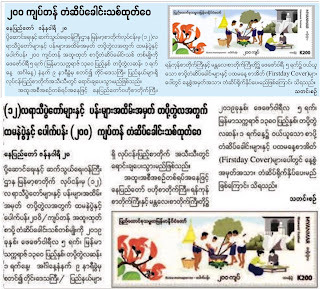 It is the first app ever in Myanmar philately. Please download and install your copy of the app on your phone or tablet with android version 4 and above. Kindly notify me if you have any difficulties with downloading and installing. It is the beta version of the app, and I am organizing the information to add the section "Myanmar Postage Stamps (1937-Present)" to the app. Your rating, feedbacks and comments are welcome.